What is that red heart on 9th Ave? #spreadloveyyc is about family, community and spreading love and kindness to everyone. Our love-lock sculpture will be wheeled out in front of the store from February 14th to March 14th. 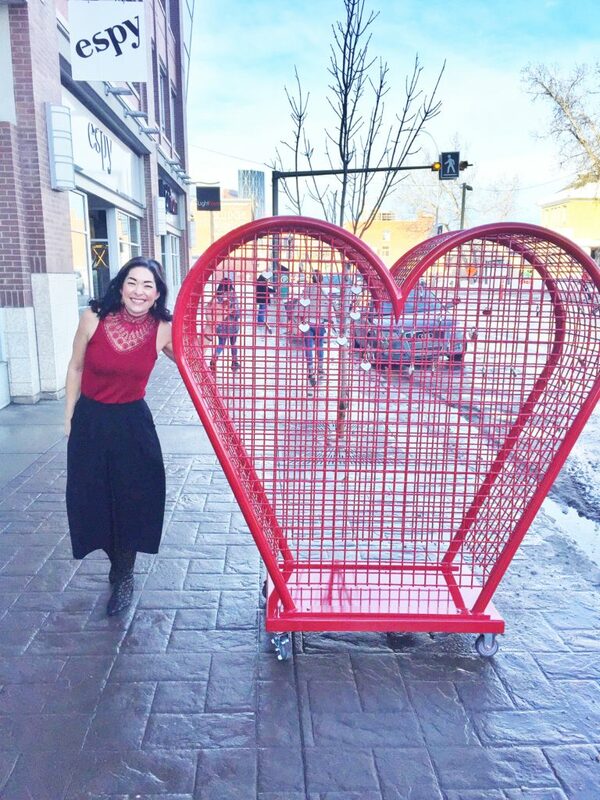 We want all of Calgary to see it and make even better by attaching a love-lock to it. This heart-shaped sculpture was made in an effort to raise money for the Alzheimer Society of Calgary. Our goal is to raise $10,000. How? For a suggested minimum donation of $10, we’ll provide you with a heart-shaped love-lock that you can attach to the sculpture. And yes, we’ll even engrave it for you too. Love-locks are starting to fill the Love-Lock Sculpture. Attach yours today! Have your own lock you want to attach? That’s totally cool with us but we’d love it if you still made a donation to Alzheimer Society Calgary. Not only are we trying to raise money, we want to bring further awareness to this progressive disease that destroys memory and other important mental functions. 100% of donations received will go directly to Alzheimer Society Calgary. Together we can achieve this! Bring yourself, your loved ones and attach a love-lock for an amazing cause this month at espy!